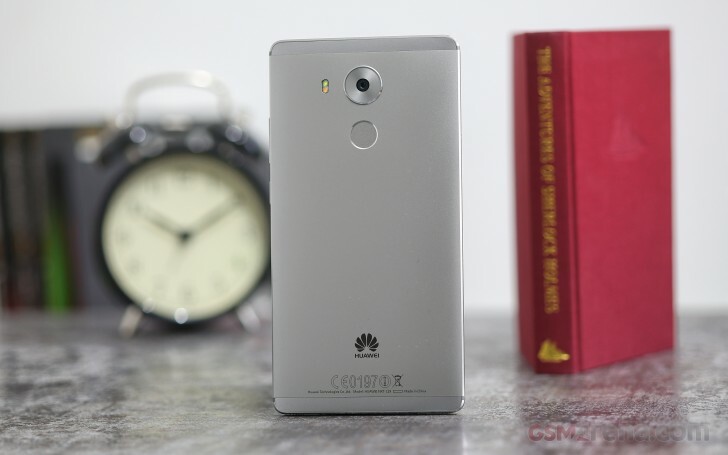 The Huawei Mate 8 is powered by the Kirin 950 chipset, made by HiSilicon, a Huawei subsidiary. It's not the first in-house chip the company uses, it's been an ongoing Huawei effort to produce its own SoC's. Previous iterations include the Kirin 935 in the Mate S and the Kirin 930 in the P8, the two differing in CPU frequency. The Ascend Mate7, on the other hand, had a Kirin 925 inside. For all the numbering differences, the chips have all traditionally had a common issue and that's been GPU performance. Huawei has made the necessary steps in that department and fitted the Mali-T880 GPU in MP4 configuration. Coupled with the conservative 1080p resolution, the Mate 8 should have no issues on the graphics front. That's definitely not where all the effort has gone, though. The Kirin 950 chipset comes with a dual quad-core CPU setup, utilizing four of the latest Cortex-A72 cores in its performance cluster and that makes it the first processor with such cores that we get to test. Neither member of the Snapdragon 65x line has shown up on our doorstep just yet, and Mediatek's Helio X20 is yet to make it to a production device. Additionally, the chip is built on a 16nm production line, as opposed to the 28nm of older generations with the resulting benefits in power efficiency. One aspect of the Mate8's hardware, which we're no fans of, is the fact that 3GB of RAM are paired with 32GB of storage, and 4GB come with 64GB. If you insist on the larger operating memory, but don't have heaps of multimedia to store, you'd still need to pay for those 64GB. For the record, our review unit is the 32GB variety so it has 3GB RAM. The Mate 8 stormed through GeekBench, its score miles ahead of anything before it. Our previous champ in the multi-core test, the Meizu Pro 5 with an Exynos 7420 inside, couldn't keep up with the Kirin's powerful A72 cores. The Nexus 6P is among the highest-ranked Snapdragon 810 models, and its score is about two-thirds of the Mate's. The assorted Antutu benchmarks also put the Mate 8 in a leading position. In Antutu 5 it's only slightly ahead of the Meizu Pro 5, but comfortably outpacing the Galaxy Note5. Here, the Snapdragon 810 does best inside the Xperia Z5 Premium, and the Nexus 6P is further down, on par with the iPhone 6s Plus. In Antutu 6 Huawei's flagship pair scores similarly though the Mate 8 has the upper hand again. The Galaxy Note5 is little behind, but not as much as the Snapdragon 808-powered LG V10. Oddly, in this benchmark, the significantly more powerful chip of the Pro 5 posts an identical result to Qualcomm's second-best of the year. The Mate 8 surrenders the benchmark lead in Basemark OS II 2.0, another compound benchmark. An inch behind the Nexus 6P, the Mate 8 is outpaced by the iPhone 6s Plus in the overall score. The Exynos-powered Note5 and Pro 5 are still not a match for Huawei's 6-incher. However, the Mate's processor shows its strength in the CPU-specific parts of the benchmark. Its single-core result is the highest of the bunch, with only the Note5 coming close. There's absolutely no contest in the multi-core test, where the Mate 8 wipes the floor with the current crop of high-end phablets. Which brings us to graphics performance. While the Mate 8 is no slouch here either, it's also not in the leading position. Its Basemark X results are only slightly ahead of the LG V10, BlackBerry Priv, and Moto X Style (a.k.a. Pure Edition). Those all come with an S808 chipset, which features a rather modest Adreno 418 GPU. The Note5's score is some 70% higher though the Pro 5 isn't as convincing. It's the Xperia Z5 Premium that leads the way for S810, with the Nexus 6P behind, but still much better than the Mate. In GFXBench, the Mate 8 posts some respectable scores, but is again no chart-topper. In the offscreen tests, which are run at a standard 1080p resolution regardless of the specific smartphone's actual display setup, the Mate 8 achieves higher frame rates than the S808 bunch, but not quite on par with the S810 or Exynos 7420. In the onscreen tests, at actual display resolution, the Mate 8 is favored by the lower number of pixels it needs to render, compared to most of its rivals and climbs up the chart. That doesn't help it against the iPhone 6s Plus, Pro 5 and Xperia Z5 Premium, which run the test in FullHD, too. The Nexus 6P, however, gives the Mate 8 a solid run for its money, despite having a QHD screen - owing to the S810's Adreno 430. It's probably worth noting that the Mate 8 runs the onscreen tests at a slightly lower 1,740 x 1,080-pixel resolution (1,920 x 1,080 pixels, minus the strip of onscreen buttons). This small difference made for slightly better scores in the Mate's onscreen tests compared to the 1080p ones, but the difference is marginal at best. The bottom line is that the Huawei Mate 8 has tons of raw processing power in both single- and multi-core applications. Its GPU performs adequately (unlike the Mate7 before it), but is not quite up to par with the CPU's performance. We'd say Huawei made some very well-calculated choices on this one. On the one hand, the Mali-T880 MP4 would have definitely choked with a higher-res screen. However, a QHD display with a GPU to match would have meant a much more serious strain on the battery, and that wasn't a compromise the company was willing to make. That said, Samsung's Exynos 8890 has a Mali-T880 MP12 GPU with three times as many cores, so the Mate 8 won't have it easy once the Galaxy S7 bunch and the Note 6 come next.